BYOV: bring your own vegetables: The Photobooks are in! Well, after many many hours of work, my Picaboo photobooks are in! These two books of my Thailand and Hong Kong trips were my first time using Picaboo, but I've used Shutterfly for five books in the past. Picaboo frequently has GroupOn offers and great sales/deals, so I figured it was worth the learning overhead. This is so awesome! I was thinking about using the blurb service to do a similar thing for my travels through France, but it does take a bit of time to get the hang of it! gosh that's incredible! It makes me so sad that people don't have photo albums anymore. But this is such a great alternative! these are great. 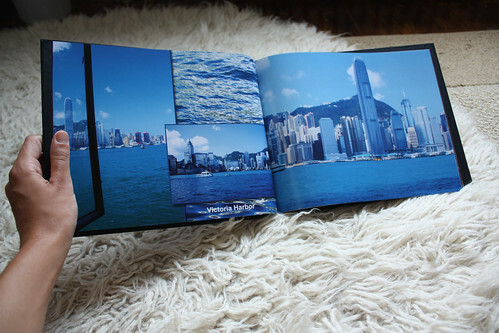 i really need to make my photo book from my trip last year. i still can't believe it's nearly september and i STILL haven't done it! They look like they turned out awesome! I usually do mine the old-school way, but this looks like a great way to upgrade! Kudos. Ohhh these photo books look amazing! You may have just inspired me to do the same with my photos of a recent-ish trip to Bali..! I've never heard of this before... but I think it would only be useful if you take good pictures, haha. Mine are all over the place. However, with tips like yours, I'll get better. I appreciate the advice. wow, they look great! i always plan on doing something like that just never seem to get around to it. so terrible! This is such a great idea. One that I really need to copy! I'm a MyPublisher fan. Picaboo looks just as good! I like having the books. Our guests usually grab them from the coffee table right away...it's totally better than forcing them through a slide show!! I bet they're beautiful though! :) from what I see from your blog you're a wonderful photographer! that a great idea and they look awesome. i love photobooks! i made some for a parents a few years back and they LOVED them! i think i'm going to do it for our wedding too. 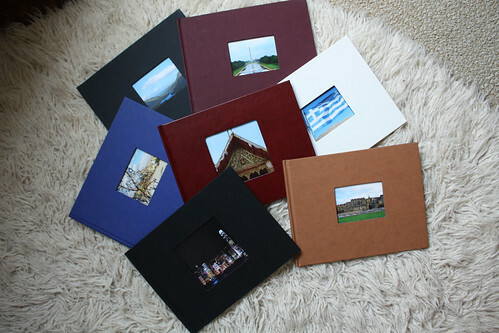 Your photo books look amazing! I keep meaning to do something like that with my photos. I haven't had photos printed since I started using a digital camera. And that was a long time ago. At least back when we used film, the only way you could actually see how your photo turned out was to get it printed. Digital cameras have brought about the death of photo albums. At least for me it has. But I want to change that. I love shutterfly. I've never used the other website. Which do you like better? Those look great!! I have only used Shutterfly, but I like those even better. Need to get on getting some of my photo books together. They keep piling up! This is such a brilliant way to gather travel photos together. I'd never though of doing something like this, but it would definitely be better than just leaving all the images on my computer. 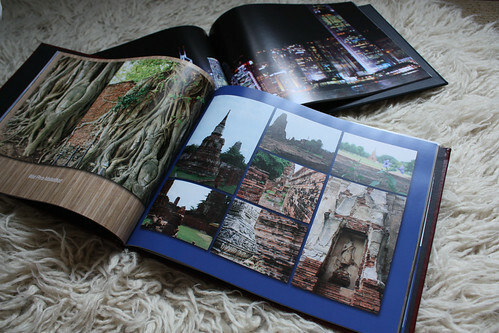 i love photobooks :) one day i'd like to make a photobook type book of my blog.. i think blurb can do that? maybe.. not sure. they make such great gifts too! This are a terrific idea. I usually remember my travels from a handful of photos on my computer, and blog posts.